Some know us as Texas A&M University-Commerce. For others we will always be “Old ET.” From our humble beginnings as a private normal college, we’ve grown to become the second largest university in the Texas A&M System. With a diverse student body, state of the art facilities, and faculty and staff of the highest caliber, A&M-Commerce is an institution that boasts a deep heritage and is proud to be at the forefront of higher education in Northeast Texas. In 1995, when East Texas State University merged with the Texas A&M System to become Texas A&M University-Commerce, many questions were left unanswered. To this day, alumni, faculty, staff, and students alike do not understand our rich and unique history, or our relationship to the A&M System. For our first twenty-eight years, we were known as East Texas Normal College, a private school established by William L. Mayo in 1889. Professor Mayo was not alone in his desire to run a college in the region. Dozens of similar colleges opened, and later closed their doors during Professor Mayo’s time. Mayo knew that something would need to be done to ensure the permanence of his college and he initiated the plans to make ET a state institution. On March 14, 1917, a bill passed in the state legislature making ET a state-funded college. On the same day, Professor Mayo died suddenly before receiving the news that his college would live on. Although the future leadership of the school was uncertain following Professor Mayo’s death, one thing was certain, East Texas Normal College would become East Texas State Normal College, a member of the State Normal College System. President Randolph Binnion was named the second president of ET in 1917, and the first president to lead ET as a state-funded college. Unlike Professor Mayo, who operated the college by relying on tuition, donations, and his own pocketbook, President Binnion benefited from the addition of state funds to support the college. While President Mayo answered to no one but himself, President Binnion reported to the State Normal Board of Regents in all matters related to the college. When the State Normal College System became the State Teachers College System, our name changed to East Texas State Teachers College, our third name change in just over three decades. For the next 50 years, and through the tenures of Presidents Sam Whitley, A.C. Ferguson, and James Gee, ET existed as a member of the State Teachers College System. It wasn’t until the tenure of President Gee that the foundation of the university began to shift. While ET was founded as a teacher training institution, it was clear by the 1950s that the college’s academic offerings extended beyond the training of teachers alone. As a result of this growth, the legislature authorized two name changes during Gee’s presidency, East Texas State College in 1957 and East Texas State University in 1965. President D. Whitney Halladay, Gee’s successor, embraced the State Coordinating Board’s enrollment projections for ET, which predicted a record enrollment of 12,200 students by 1971. President Halladay continued an expansive building program established by his predecessor to accommodate this anticipated growth. Perhaps the most significant change came in 1969 when the governor signed a bill permitting ET to establish a separate board of regents and become an independent university. For almost three decades, ETSU reported to its own Board of Regents. While enrollment did increase through the mid-1970s, it remained well below projections. Enrollment peaked under President Bub McDowell in 1975 at just shy of 10,000 students before entering a sharp and steady decline for the next decade, falling below 6,400 students in 1986. Declining enrollment left ET in a precarious position as the state legislature’s formula funding for state institutions is tied to credit-hour production. Additionally, the university was significantly overbuilt in anticipation of future enrollment growth. Empty classrooms and dormitories were a lingering reminder of ET’s troubles. The potential closure was by far the biggest threat to ET since the very early years of the college. Although this crisis was averted, the university still faced an uphill battle. President Jerry Morris was appointed president in the middle of this uncertain time. Just like President Mayo 70 years before, President Morris faced the question -- what can be done to safeguard ET’s future? Morris and the Board of Regents agreed, as one of only six independent universities in the state, it was time for ET to once again join a system. President Morris expressed that joining a system was not a panacea. All state colleges and universities, no matter their system affiliation, have three funding sources: legislative appropriations, tuition revenue, and benevolence. However, the backing of a major system would guarantee additional support for the university in the legislature, allow the university to share resources with other system schools, and provide additional opportunities for students. For fiscal reasons, political impact, and marketing desirability, plans were put in place to seek a merger with an existing system in 1994. The question remained -- which one? There were five systems in the state of Texas at the time, including our former system, the State Teachers College System, now known as the Texas State System. University administration quickly identified the A&M System as our only option for affiliation. A similar mission statement coupled with an understanding of the unique needs of a rural university made the A&M System the logical choice. As a member of the A&M System, President Morris, like all other system presidents, would report directly to the Chancellor of the System. At the time of the merger, the chancellor was Barry Thompson, an ET alumnus and former university VP. Thompson was an advocate for the merger and promised to personally recommend the merger to the A&M Board of Regents. By the end of the 1995 legislative session, the merger was approved by the ET and A&M Board of Regents as well as the state legislature. Perhaps the most immediate and public result of the merger was another name change. Several names were considered, the two most popular being East Texas A&M University and Texas A&M University-Commerce. Morris and other administrators preferred Texas A&M University-Commerce, although he knew many alumni would mourn the loss of the ET name. Morris emphasized the importance of a name comparable to schools like and our former branch campus, Texas A&M University-Texarkana, as well as other schools like the University of Texas at Tyler and University of Texas at Dallas, The A&M System Board of Regents voted to change the name to Texas A&M University-Commerce in July 1996. The merger, along with the name change, went into effect on September 1st of that year. The long-term benefits of joining the A&M System cannot be denied. Today, A&M-Commerce boasts record-high enrollment and is one of the fastest growing universities in the state. Names have changed, demographics have changed, and times have changed. Our institution has proven adept at meeting challenges to remain at the forefront of higher education in Northeast Texas. We proudly celebrate two decades as an A&M System member and one hundred years as a state institution. 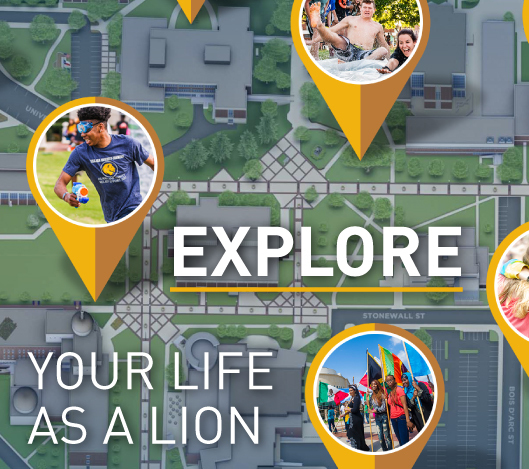 Whether ET or Texas A&M University-Commerce, we are proud to be lions, and our pride runs deep.